← These are America’s future leaders??? Decided to make another one of these quilt design plastic canvas tissue box covers for my friend. This design is called Arrowhead… a perfectly named American pattern. This pattern leaflet has 8 different quilt designs. 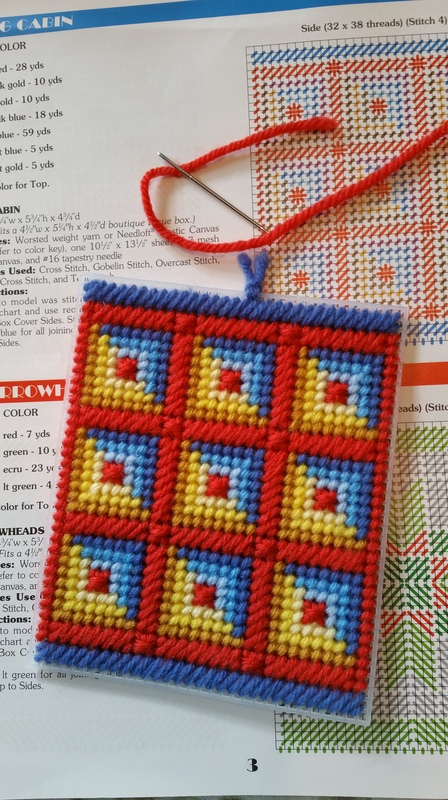 This pattern is called Log Cabin, another perfectly named American quilt pattern. Quilting had been done all around the world, but industrious and frugal early American women turned quilting into a distinctive American needle art form. These early Americans carefully saved small fabric scraps from old clothing and blankets, which they pieced together into blocks. They arranged the blocks into a quilt and often used solid color strips, called “sashing,” between the blocks, “to frame” them. Slave women quilted too and studying the history of African-American quilting is a neglected area of quilt history, that has gained attention in recent years. 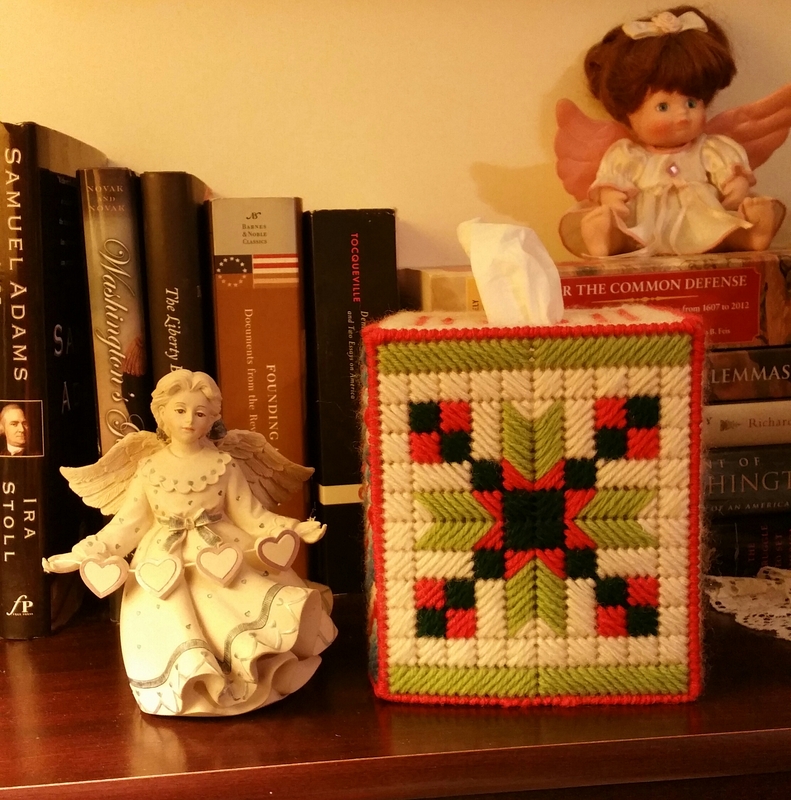 On the left, in the background of my tissue box cover photo, in my row of books, next to my book about Samuel Adams, there’s a gap. Sorry the previous sentence sounds like a “in the library, next to the desk” clue leading you to the murder weapon, in a “Whodunit” mystery, but I assure you, it led to a book about an important American patriot in our nation’s fight for Independence: Thomas Paine. 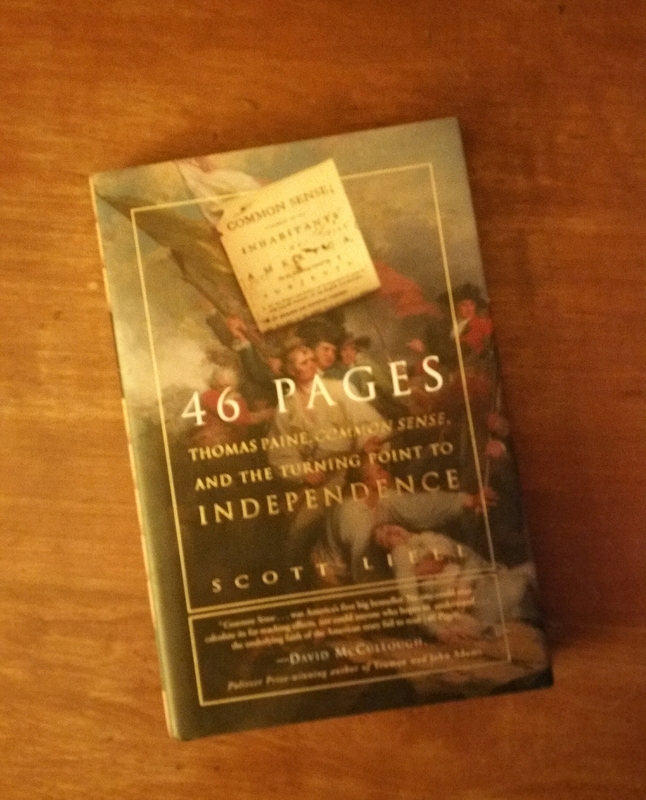 After President Obama mentioned “Domestic Propagandists”, in tones that sounded like he was referring to “Domestic Terrorists” over the weekend, well, I pulled out my book, “46 Pages: Thomas Paine, Common Sense, and the Turning Point to Independence” by Scott Liell. 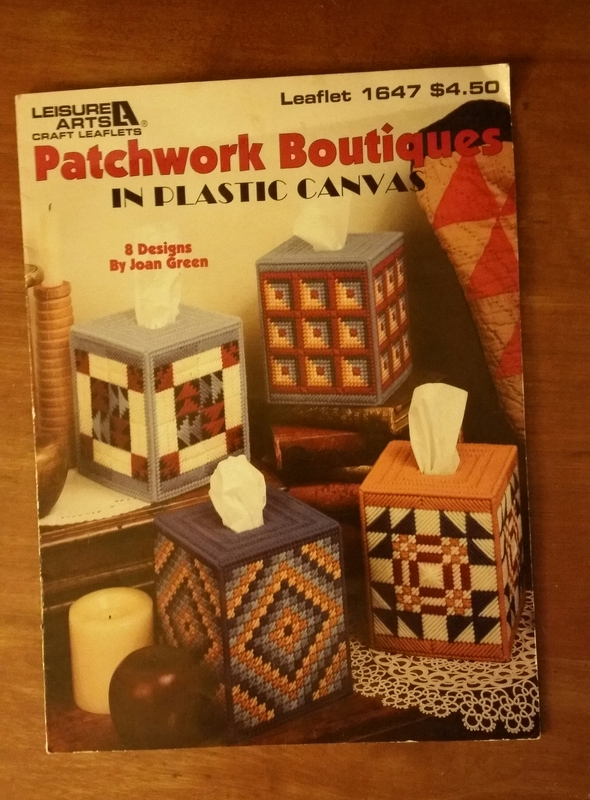 I had purchased this book a few years ago and hadn’t read it yet, but I started reading it last night… in between stitching this tissue box cover and tweeting. I’m quite the multi-tasker these days, lol. Have a nice day and maybe after today the Queen Hillary coup attempt to overthrow The Constitution will be over.